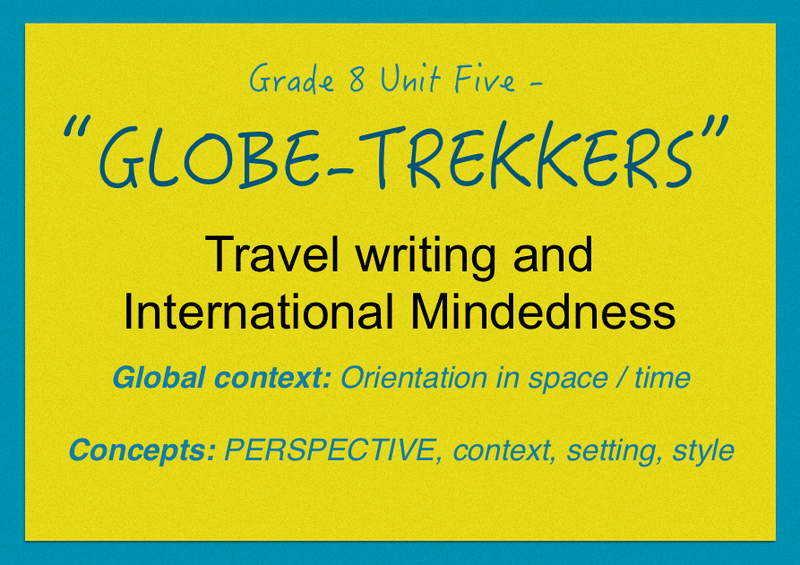 Today we started our final G8 English unit. We will be exploring a range of travel writing – just in time for our summer holidays! 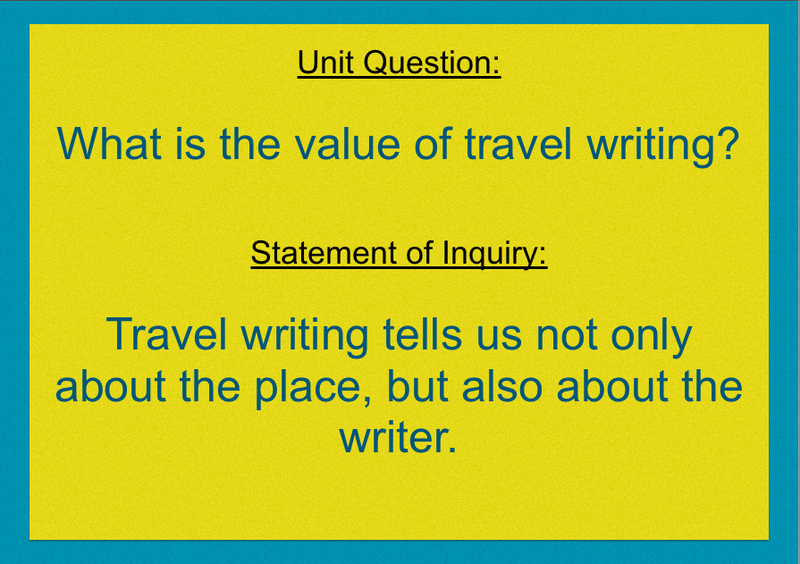 In order to ‘tune in’ to this topic, students considered the unit question and wrote some tentative ideas in the comments section. Have a look and tell us what you think! 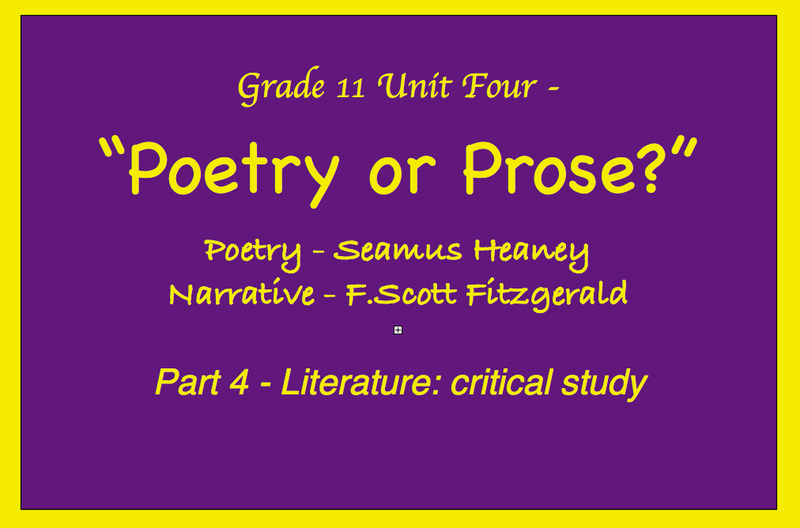 We will examine the poetry of Seamus Heaney and investigate why people choose to write poems, or even write narratives poetically. 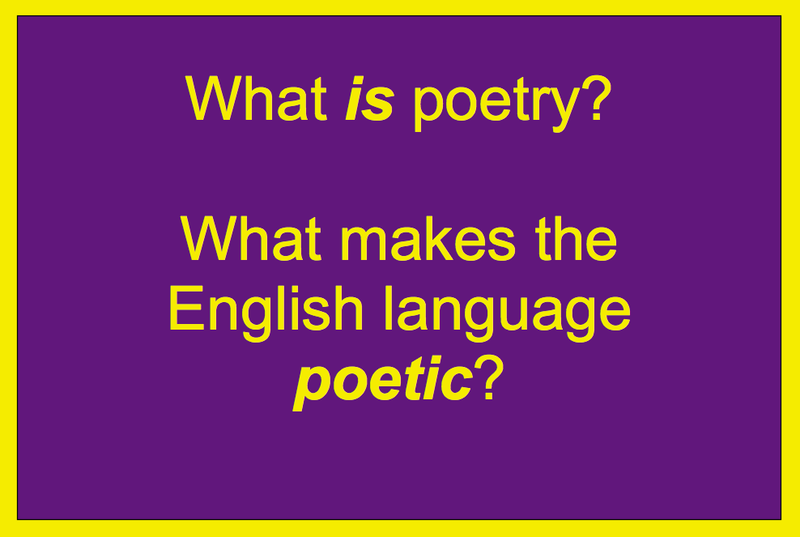 What actually makes English poetic? These are some of the questions that will drive our inquiry. To begin, read the unit outline posters below and post your ‘tentative thesis’ to the unit questions in the comments section below. Consider the ideas of your peers as well. 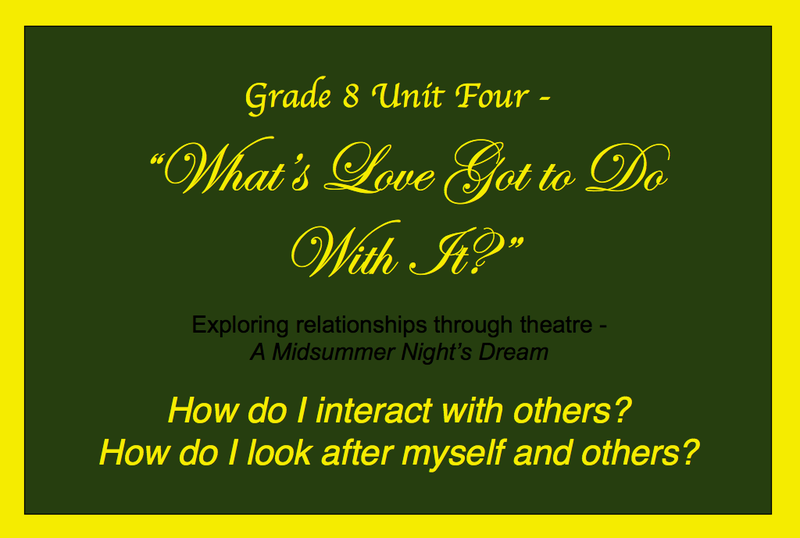 Today we kicked off our fourth unit for grade 8 English this year, entitled ‘What’s Love Got To Do With It?’ Many apologies for the cliched song title, but I am afraid it couldn’t be helped! We will be using the Health and Social Education AOI as a contextual lens for our examination of Shakespeare’s play ‘A Midsummer Night’s Dream’. In this unit, we will explore the nature of healthy and unhealthy relationships. In addition, we will examine the dramatic and literary techniques that authors such as Shakespeare use to help explore and express these important concepts. 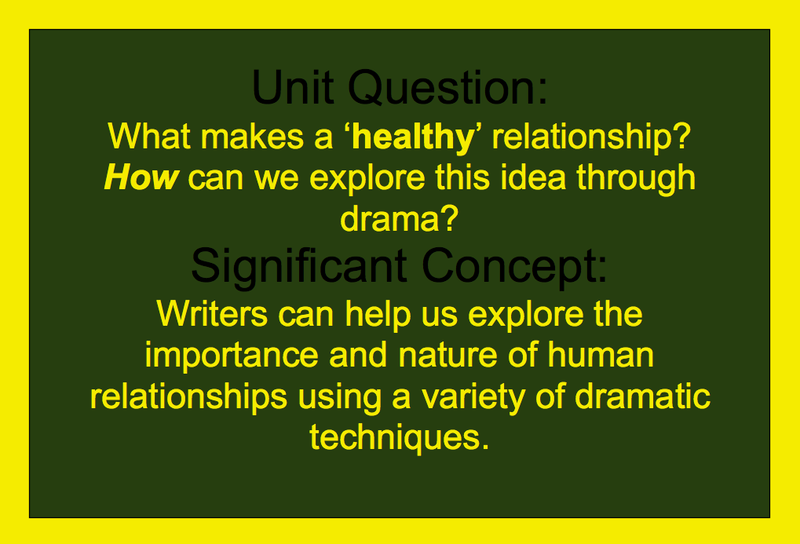 Since we are just starting to tune in to this topic, take some time to consider the unit question. Then, after you have formulated your ideas, write down a tentative thesis in the comments section. We are looking forward to an engaging unit of inquiry about Shakespeare’s play and the topic of healthy relationships! PS: Here is the unit outline sheet, detailing key terms. Meaning in a text is shaped by culture and by the contexts of the circumstances of its production. It is also shaped by what the reader brings to it. 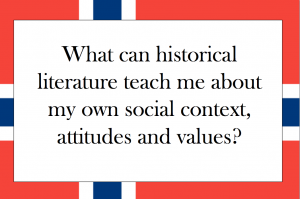 Literary texts are not created in a vacuum but are influenced by social context, cultural heritage and historical change. 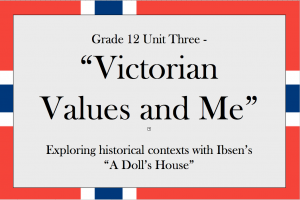 Through the close reading of literary texts, students are able to consider the relationship between literature and issues at large, such as gender, power and identity. Students should be encouraged to consider how texts build upon and transform the inherited literary and cultural traditions. The compulsory study of translated texts encourages students to reflect on their own cultural assumptions through an examination of work produced in other languages and cultures. 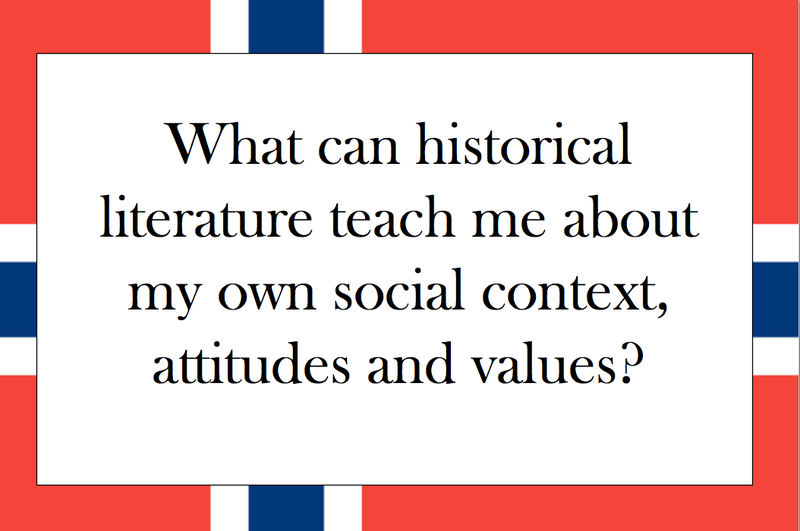 The study of literature—texts and contexts means that students will be able to meet the following learning outcomes. – different values may be in contention within a text. What has been your experience up until now? Have you ever read a novel, play or movie set in the past? In the comments below tell us what the story is, what it told you about the particular historical context and finally, what this showed about yourself!